NEW YORK, NEW YORK – December 2, 2016 – GameChange Solar announced that the Augusta Chronicle released an article: “Jenkins County solar array goes live”. This project is located in Georgia and is owned by Citizens Energy, who sells the electricity produced to Georgia Power. The system recently went operational utilizing a 28MW GameChange Genius Tracker™ system. A Massachusetts energy company and officials from Jenkins County and the city of Millen on Friday put an additional 28-megawatts of electricity into the power grid from a 233-acre solar array built on a former dairy farm. The $45 million project, developed by Boston-based Citizens Energy Corp., is one of the largest investments in the county in recent years. About 250 construction jobs were created by the project. Known as the Old Midville Solar Project, the utility-scale array is expected to add $250,000 annually to county tax revenues. 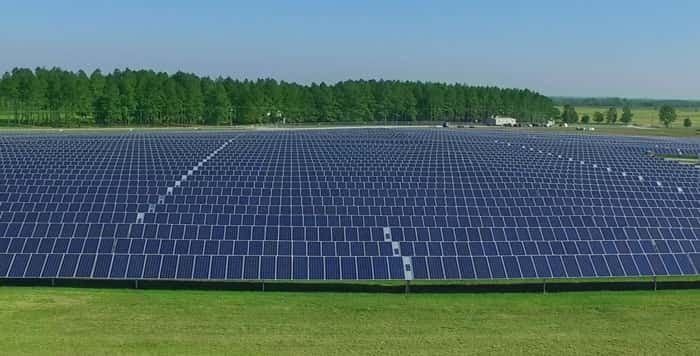 “We’re proud of our work with our partners here in Jenkins County to build the largest solar array to date in our portfolio of 30 projects,” Brian Morrissey, Citizen Energy’s director of solar operations, said in a statement. 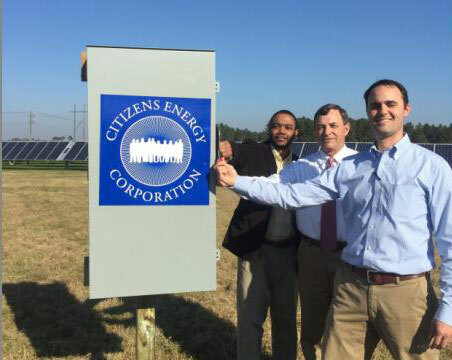 Morrissey, a Georgia native who has directed Citizens Solar’s growth over the past six years, was joined in a ceremonial pulling of an electric switch with Jenkins County Commission Chairman Jerry Henry and Millen City Councilman Robin Scott. The project, permitted by the Jenkins County Development Authority, is selling all the electricity to Georgia Power as part of that company’s imitative to support renewable energy. Georgia Power selected Citizens Energy as a renewable energy provider through a competitive bid process. Power from the project’s 90,000 ground-mounted panels will produce about 45,000 megawatt hours of electricity annually, enough to power close to 3,000 homes or displace 28,000 tons of carbon every year – the equivalent of taking 6,000 cars off the road, the company said. “The construction period and ongoing operations here are creating additional economic development, job creation, and improved business opportunities for Jenkins County,” he said. Citizens Energy is a nonprofit founded by former Congressman Joseph P. Kennedy II to channel revenues from energy ventures to programs that help the poor. Its Citizens Solar division develops utility-scale solar arrays that specialize in building solar farms on capped and closed landfills and other underused land parcels.